When it comes to building your private network, the first and most important thing you need to do is buy the right domains for it. Over the years with running services like High PR Society, Backlink Safehouse, and our own fully private networks, we have gone to both domainers (a person or company that already owns a substantial amount of aged domains then in turn sells or leases them) and the big domain drop list services. 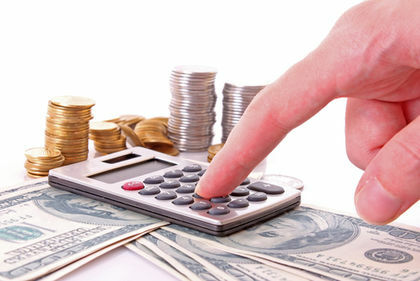 Working with domainers can be easier, but remember to negotiate purchase prices. Below we have listed a few services that have worked out well for us in the past. 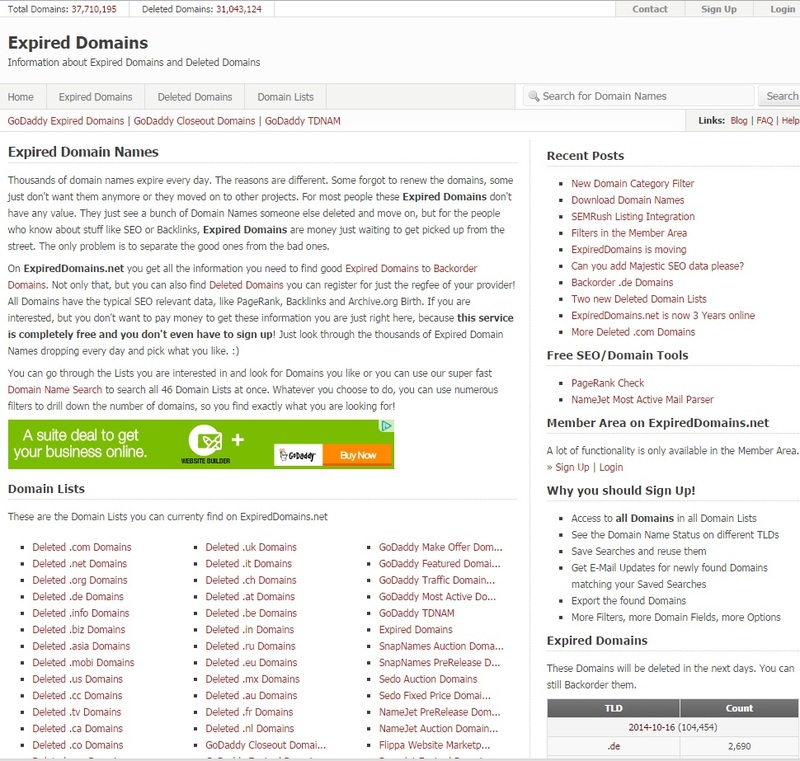 Expired Domains is a meta resource that lists GoDaddy Expired & Auctions, SnapNames Auctions & Pre-Release, Sedo Auctions & Fixed Price, NameJet Auctions & Pre-Release, Pool, Flippa, Dynadot Expired and Name.com. There are also more than 30 Million domains listed on the site. It is the best free source we have found, and while you don’t get all the MOZ information that you would on Register Compass (listed below), it is still a good service. With the site, you get a few details and they try to validate the PR of the expired domains themselves (we will discuss trusting PR later in the post). Always use your common sense when looking at the PR of the domain. A real PR 9 would have more than 0 backlinks, an Alexa probably in the top 1000, and above all else, it wouldn’t be for sale. 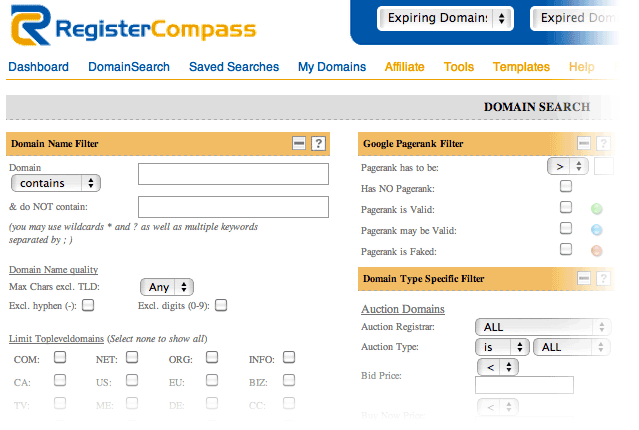 While we don’t use Register Compass for finding new domains since all the good ones are taken by the time we check them, we do use it to get all the great data on lists provided by domainers. We will upload a domainers list and filter their domains by Google Index > 1, Page Rank = Valid, and sort the results by Domain Authority to weed out the fake sites and buy only the best. With our current domainer’s batch, we have uploaded just under 270 sites and after our filters were applied, we ended up with only 60 domains. 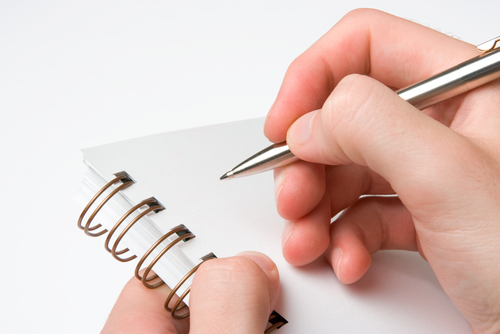 Make sure that you always do your homework and some research before purchasing a list of domains. Disclaimer: Recently, we heard about this website and it looks pretty good. However, we have yet to use it but if you have, please let us know what you think about it. It is built on top Godaddy’s auctions, listing the domain acutions that will end in the next 24 hours. It doesn’t filter content but it can sort and as an added bonus, it is blazing fast compared to the other two. The best source to locate domainers we have found is: DNForum.com. You can buy as many or as few domains as you want from some of the members but BE CAREFUL! Trust your instincts; if something feels off, then it probably is. The expression “if it sounds too good to be true it probably is” definitely applies here. Most domainers are out there to provide a service, but there are a number of them who are looking to take your money and run with it. If you wouldn’t buy a car from them, don’t buy a domain! Now that you know your way around the services, which domain should you actually buy? There has been a push in the last year or so to forget about Google Page Rank and focus instead on Domain Authority or MozRank. Since PR doesn’t update as often as it used to, it is almost impossible to know if the PR reported in the domain buying tool is truly accurate. Building decent sites on high authority domains will make all your links and posts that much more powerful to Google. If you’re buying a more expensive domain, use AHREFs, Majestic or SEO MOZ to validate the authority and find backlinks that may come back to hurt you. Realize that if all of your site’s strength is coming from a small number of backlinks, that strength disappears when the links do. The million dollar question: How much should you pay for a domain? The number is all over the board. In the past we have leased domains for as little as $2/mo and bought domains for as much as $500 each (not including transfer fees, registrar and hosting costs). 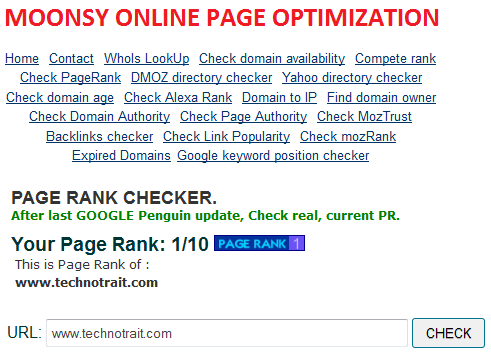 That said, we typically pay between $25 and $100 for a domain with an OK authority (20-30). You can typically find them cheaper if you do the legwork using one of the above tools, or pay a bit more if you’re going through a domainer who has done the legwork for you. A dropped domain can be bought without a transfer fee and at the registrar’s normal price, so it will cost only $10-12. When you are registering your domains, don’t give out all of the same WHOIS information and don’t use the same registrars. Doing this leaves behind easily identified footprints that lead right back to you. This could unravel your network and even get it deindexed. We recommend anonymous/privacy protected registration so you don’t have to keep up with multiple addresses and accounts. Be sure to repoint all bad requests to the home page with a 301 redirect. This helps preserve the link juice from all the old links the site had. The WordPress plugin Link Juice Keeper is a good place to start. Hosting for your sites should be on different IP addresses, use different name servers, and possibly even be at different providers. There is nothing worse than dropping a few thousand dollars on domains to have them deindexed in a month. It is a sobering lesson that we learned the hardway with one of our early networks. Of course we can keep going and going on this topic… If you have specific questions, just ask! So I guess my comment is… if you are buying a dropped domain, how do you get around the fact that it may have a manual or algorithmic penalty? – Make sure the site has pages that are currently indexed. If it’s zero, I skip it because the entire domain may be deindexed. – Look at the backlink profile. If you see really obvious SEO footprints (75% of the KWs are ‘coach purse’), then recognize that there may be a keyword penalty for that KW. There’s a bit of an art to this because you need to take into account everything and decide if the risk is worth it. Is all the domain value coming from a small number of links? Do those links come from a site that looks stale and unlikely to remove them? Is it mostly a Chinese language backlink profile? Is the DA high but the PR too low? Vice versa? I find that as long as I do some basic checking it all works out in the end.